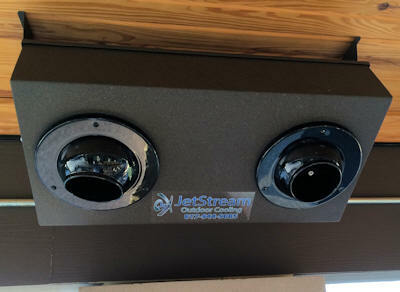 JetStream is the finest outdoor cooling system available on the market today! It is a custom designed and integrated cooling system that will cool your covered outdoor areas without coating everything with moisture. Our system utilizes “Flash Evaporation” to cool the air and drop the ambient temperature up to 25 degrees. As the mist evaporates and Flash Evaporation occurs, the surrounding heat is absorbed causing the temperature to drop. The ducted system requires accessible attic crawlspace, no second story, over the outdoor space. Each system is custom built for your beautiful outdoor area and will provide a cool comfortable environment, even in the intense summer heat. 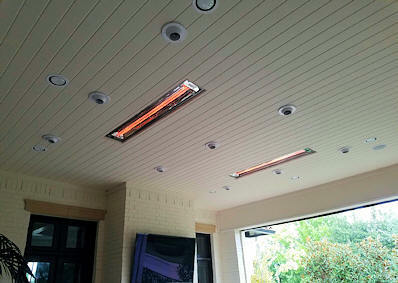 We can provide custom designed heating systems for all your outdoor needs. 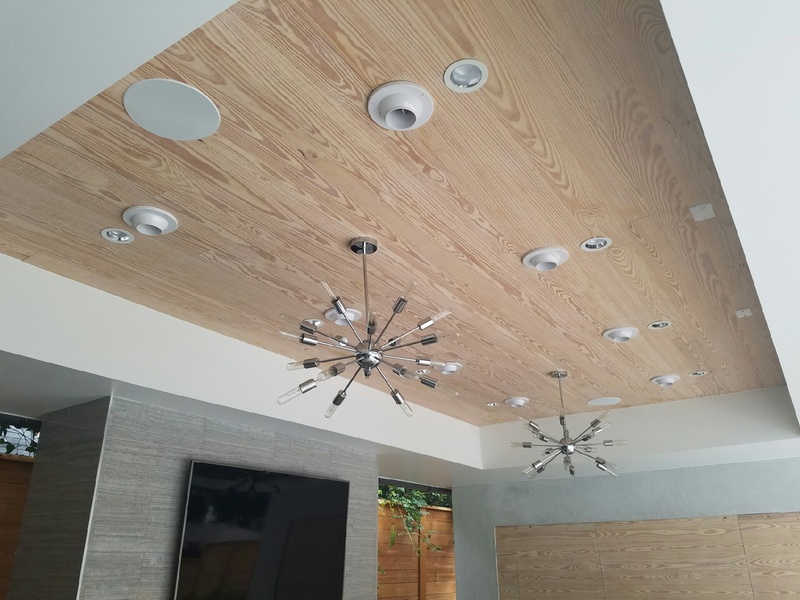 Whether it be gas or electric, infrared or radiant, using custom controls with multiple options, your outdoor area will be enjoyable throughout the cold seasons. During construction, we can coordinate with your Builder/Contractor to give you an integrated and custom designed heating system. If you desire a heating system after construction, available models can be retrofit to fit your needs. Cabinets have a built-in, variable speed blower offering the same JetStream performance and technology as our ducted system. They are ideally suited for applications where a ducted system cannot be installed for technical reasons. Available in many different powder coat finishes that will blend with you outdoor areas décor and finishes. 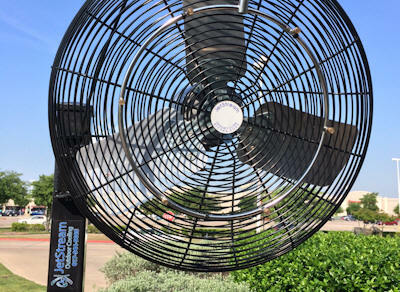 We offer a complete line of High Pressure Misting fans that will cool your open air outdoor areas. Unlike conventional misting fans, we utilize a 1000 psi high pressure pump for the mist. This causes the mist to flash evaporate due to the low volume, high pressure of the water and reduces the amount of moisture felt in the stream of air from the fan.